If you used to think that cosmetic surgery was only for the rich and famous, you have probably already noticed that today nearly everyone can take advantage of some of the techniques available. Even some teenagers are going "under the knife" to get the look they want, whether it be a nose job, or breast implants. But, is all of this excitement really worth it? Are you going to get results that will really change your life and your looks for the better? Before you undergo any type of cosmetic surgery, there are some questions you will need to ask of yourself and your potential surgeon to make sure this decision is right for you. 1. What are your reasons for wanting the surgery? If you have an unsightly scar or birthmark, it may be something very obvious. But, if you just want to change your looks to appear younger or to enhance one of your features, which may be more of a personal preference. 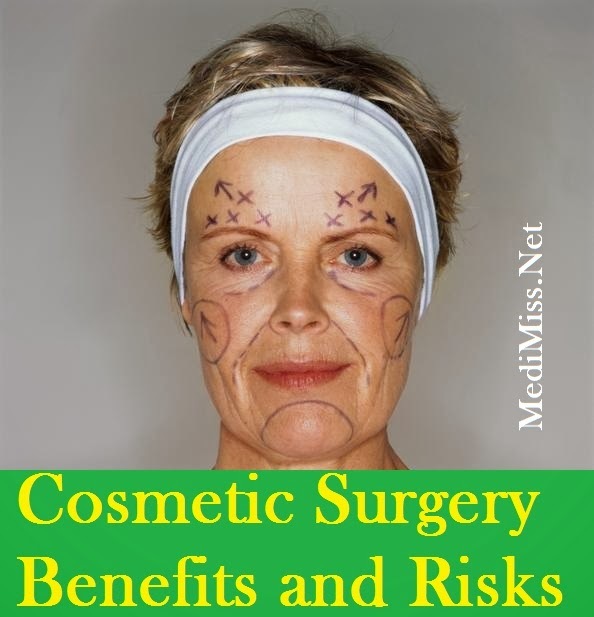 Either reason may be a worthwhile motivation to get cosmetic surgery, but you must still keep in mind that surgery is surgery and is a very serious decision. Surgery is not a "cure-all" for any self-esteem issues you may be having, it is just one part. 2. Who is your surgeon? Did you know that to perform cosmetic surgery you do not technically have to have any specialized training? Once you have graduated from medical school you can practice any type of medicine-including cosmetic surgery. However, your surgeon can be certified by the Board of Medical Examiners and also by national organizations which have strict guidelines about training and qualifications. Any surgeon you choose should be well-qualified and experienced in your type of surgery. 3. Are you aware of the risks? From one to four percent of people who have cosmetic surgery experience difficulties of one kind or another. These can be simply a problem with symmetry, or as serious as an infection, too much skin being removed, or even death. Some people are opting to head south of the border to Mexico and other locations for low-cost cosmetic surgery, only to find less than ideal operating conditions and doctors who are not adequately trained. Serious complications can result-so just as you would check out your surgeon here, check out your surgeon anywhere-maybe even more carefully.